It's time for SRC again! As part of the Secret Recipe Club, each month, we're given another blogger, and we choose a recipe from their blog. This month, I got Jen's Journey. I have to say, I wasn't sure which recipe to choose - she's got a tomato basil pesto pasta, guacamole, and pasta salad. However, once I saw the recipe for Gazpacho, I knew my search was over! 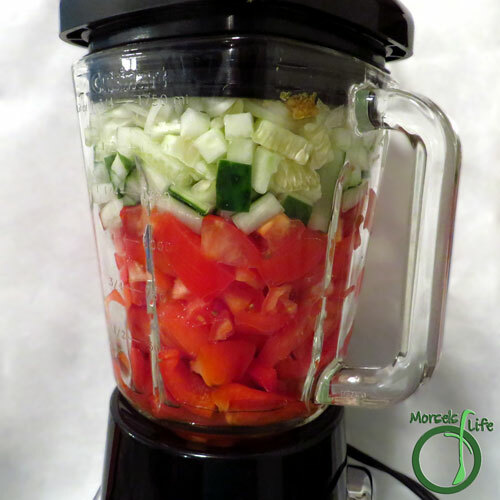 Gazpacho is a cold coup made of raw vegetables, usually with a tomato base. 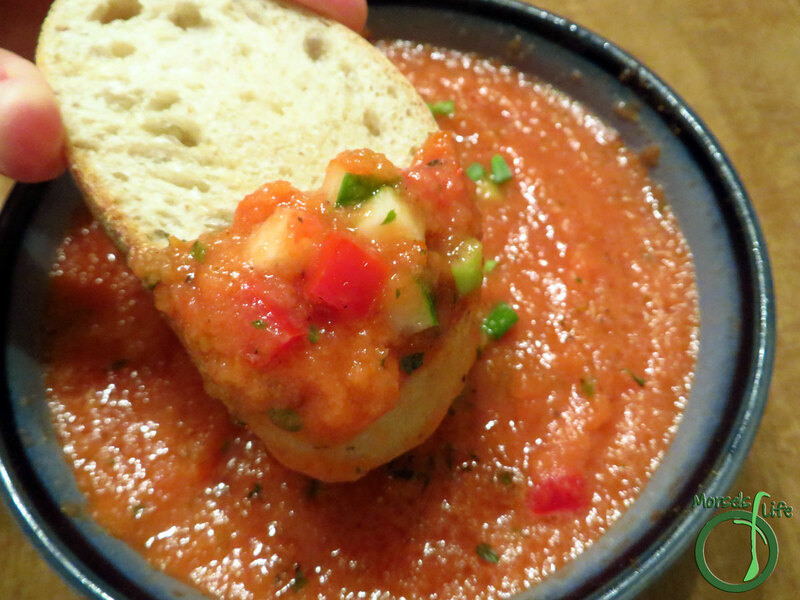 We tasted some authentic Gazpacho when we visited Andalusia last year. (I can't believe it was just last year - seems so long ago!) It's a very popular soup, especially during hot summers because of its refreshing coolness. Perfect for the hot weather we're having here! In fact, we finally broke down and turned on the AC. If you know me, you know it means it's HOT! Try this refreshing soup by itself or with some nice, crusty bread. :) If you want a thicker soup, you can also blend in some bread or breadcrumbs. We found the consistency of this soup with just the veggies perfect! What's your favorite refreshing summer soup? 760 grams 26.75 ounces tomatoes, chopped I got lazy at the end and just sliced. 1/4 cup olive oil optional - I forgot to add the oil, and we still enjoyed the soup very much! 2. Blend all materials to desired consistency. Serve cold. Lovely and refreshing for spring! LOVE chilled summer soups, especially gazpacho. Last year I did all kinds of versions. Thanks for sharing with the SRC. 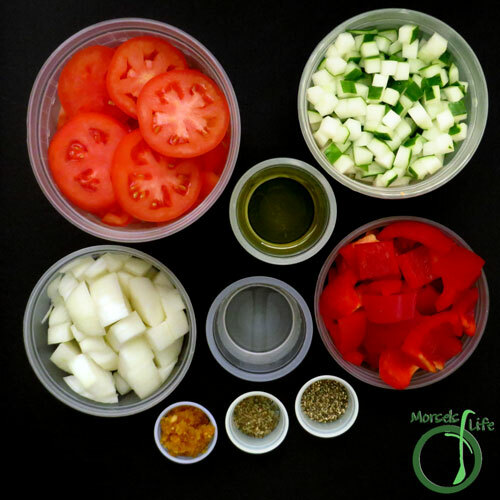 I can't wait for summer tomatoes to make gazpacho! Great SRC club! today's temps make me realize it is time to start thinking of cold soups. great SRC recipe. 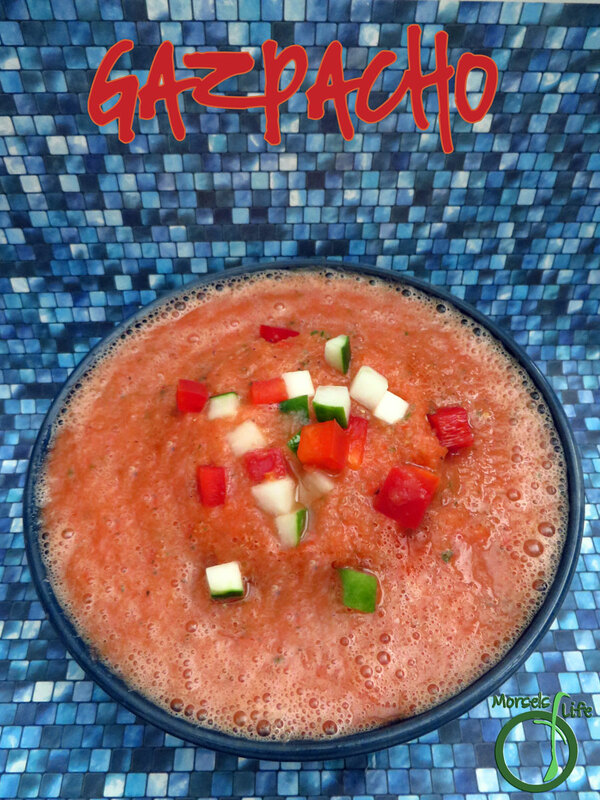 Gazpacho is the perfect summer soup! Im all over this one as soon as our tomatoes come in - great choice! What a great choice now that it's heating up!! Looks delicious. It's so fresh and pretty. I'm looking forward to tomato season! 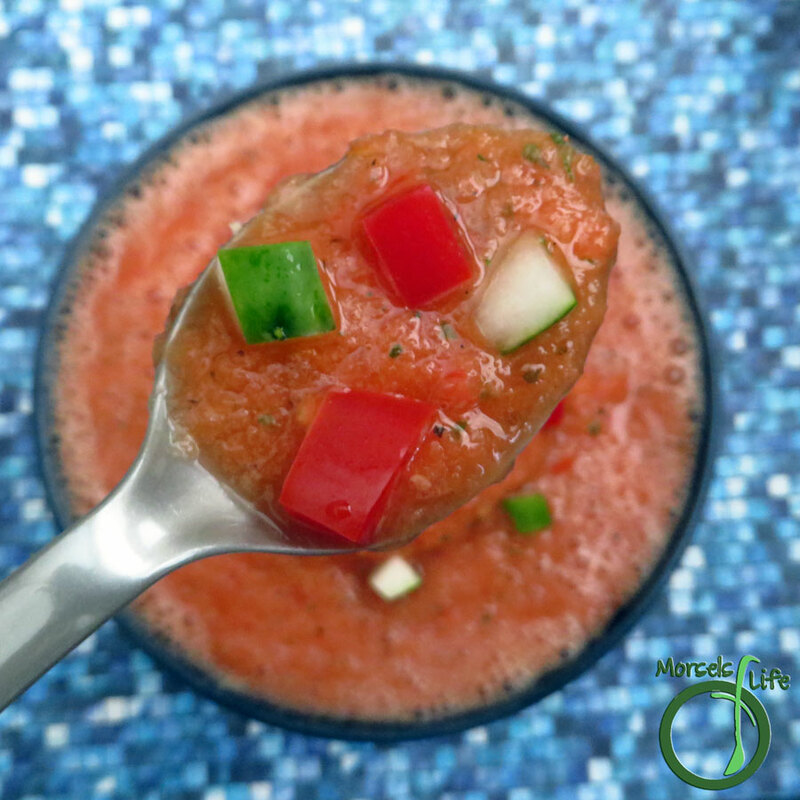 I can only imagine how much better this gazpacho tastes with some fresh summer tomatoes! I haven't tried a cold soup in a long time. This looks really good. Thanks for linking up with "Try a New Recipe Tuesday." I hope you can join us again this week.